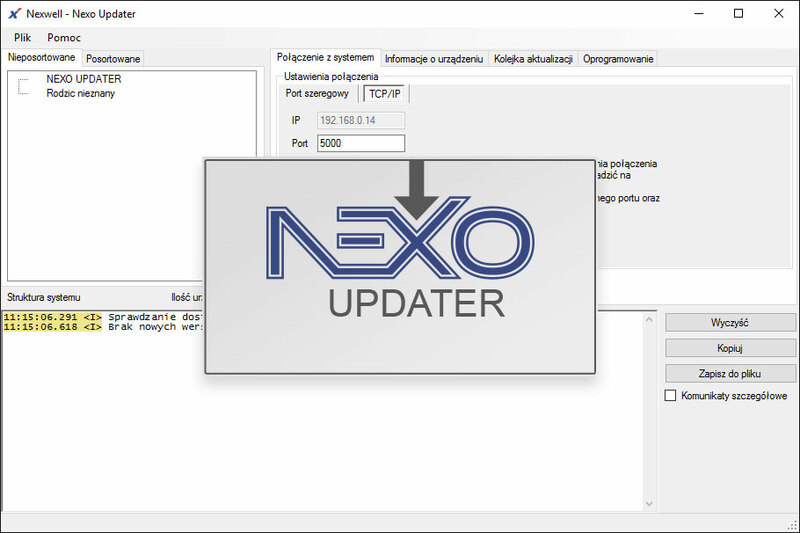 The Nexo Updater is an application by Nexwell Engineering used to update the software of Nexo devices. Thanks to this the user or technician can independently upload the latest software for the system components. The connection with the Nexo main unit is done using PC link, connected to the PC through the USB port. 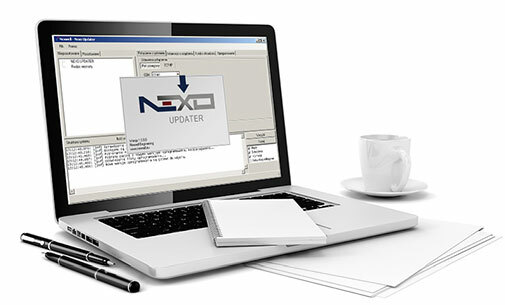 After the start the application is connecting to the Nexwell server and downloads the latest software for the devices, so that you always have the current versions. 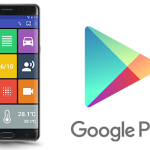 The update process is automatic, and the user activity is reduced to connecting the application to the system, and choosing which devices will be updated. The 64-bit version needs Java installed as 64-bit version.